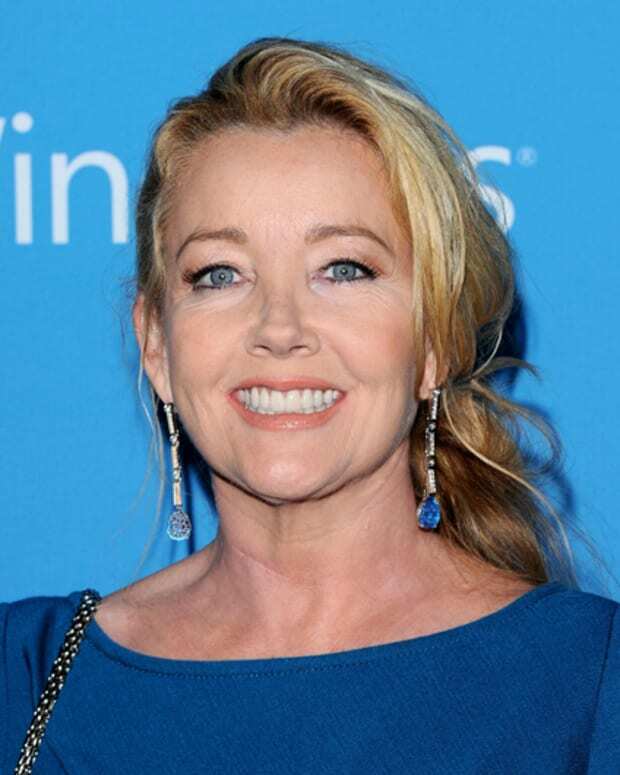 Y&R's Melody Thomas Scott on Why She Joined Twitter: "I Can Tell The Truth In My Own Words"
The Young and the Restless leading lady Melody Thomas Scott has been utilizing social media to set the record straight about her employment status with daytime&apos;s No. 1 soap opera. When I spoke with Thomas Scott on the Daytime Emmy red carpet on June 19, I asked her to weigh in on all the rumors that have been spread about her status at Y&R. "I don&apos;t really even recall what was said," Thomas Scott stated about published reports about her contract issues with the series. "I&apos;ve recently joined Twitter because I can tell the truth in my own words. So nobody can mess with that. So all I can do is tell the truth and keep fans abreast of what is really going on. Unfortunately there is no change. Still working it out. I think I&apos;ve said enough on it. Until someone says to me, &apos;We want to work on this&apos; things remain the same." Thomas Scott also voiced how touched she is that her legion of fans have rallied to her defense and have been campaigning to get her back on the show. "I think it&apos;s really moving and I&apos;m deeply touched. Bless their hearts." Editor&apos;s Note: Since the time this interview was conducted, Thomas Scott has informed her fans via Twitter that she and the brass at Y&R are once again in talks. Thank the Soap Gods; we need Nikki Newman back on our screens ASAP! Young and Restless Diva Melody Thomas Scott is About to Get "Laid Off!"